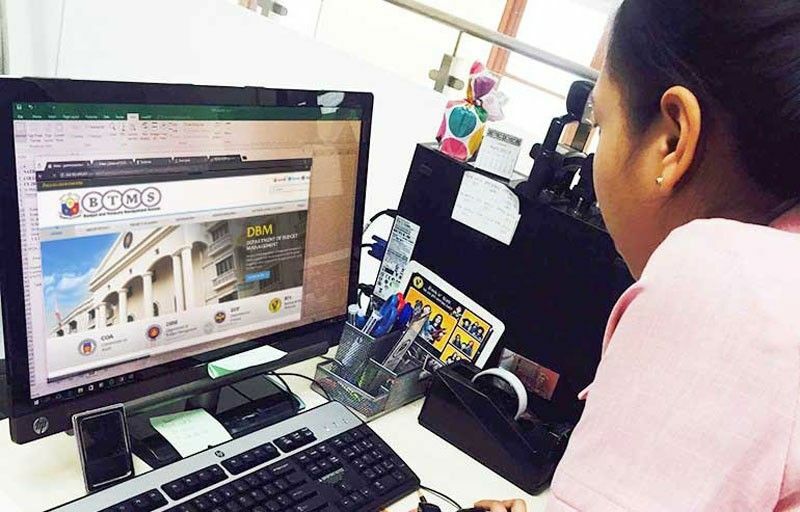 MANILA, Philippines — The Department of Budget and Management (DBM) recently launched a financial management platform which is expected to improve transparency, accountability and efficiency among government agencies. The DBM, in partnership with Globe Telecom Inc. and FreeBalance Inc., introduced the Budget and Treasury Management System (BTMS), an integrated and automated platform which will allow the reporting of government disbursements in real-time. It will support the DBM in the maintenance and complete trail of budget appropriations and balances for each national agency, and aggregate processes relating to the collection, handling, and using of cash resources undertaken by the Bureau of the Treasury (BTr). According to the DBM, the BTMS provides a sustainable Government Resource Planning (GRP) solution that is “extensible, flexible and adaptable” to reforms, and suits a wide range of public financial requirements. It was piloted with the DBM and the BTr acting as oversight and spending agencies, while the Commission on Audit will have special access to support auditing functions. The system will be rolled out to all national government agencies within the next year. “With the implementation of the BTMS, we will revolutionize the way we do things and further improve our ability to deliver public service. The effective use of modern technology will strengthen our fiscal responsibility as it would allow us to keep an eye on the government financial status real time,” Budget Secretary Benjamin Diokno said. “We also believe that an improved and harmonized government financial process will provide more reliable and timely financial information leading to sound policy decision-making for executives, managers and staff in the line and oversight agencies,” he added. The BTMS project was awarded to the joint venture of Globe through its subsidiary, Innove Communications, and FreeBalance Inc., a Canadian developer of software solutions for public financial management. Globe provided the infrastructure, while FreeBalance developed the software. “As a company committed to helping the Philippines become a digital nation, we are happy to be part of the government’s journey towards digital transformation,” said Albert de Larrazabal, Globe’s chief commercial officer. Larrazabal said Globe, through its information and communications technology arm, is committed to continue exploring ways to utilize ICT to promote efficiency and enhanced delivery of services. Manuel Schiappa Pietra, president and chief executive officer of FreeBalance, also encouraged the government to capitalize on the optimal value of BTMS. “Tapping the full features of BTMS, under the FreeBalance GRP platform, will help the government ensure a more responsive, transparent and accountable public expenditure management system. Dare I say that it will support improvement to PEFA assessment scorecards, reinforce the performance-informed budgeting, and drive for macroeconomic management,” he said.